A version of this tribute to the late Larry Eigner (1927-1996) was read by Jack and Adelle Foley at "Honoring the Life and Work of Larry Eigner," presented by the Holloway Series, in the Maude Fife Room, Wheeler Hall, University of California, Berkeley on November 19, 2010. 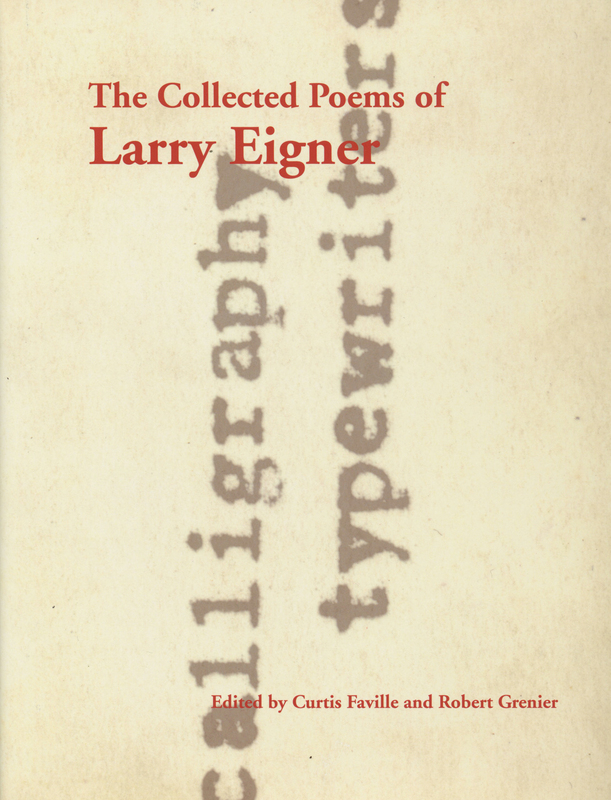 The event was in celebration of the four-volume The Collected Poems of Larry Eigner (Stanford University Press, 2010), a massive project bringing together, for the first time, over 3,070 published and unpublished poems by Eigner. The Collected was co-edited by poet, essayist, and drawing poem text artist Robert Grenier and L Publications/Compass Rose Books publisher, poet, and rare book dealer Curtis Faville. Other readers at "Honoring the Life and Work of Larry Eigner" included poet and UC Berkeley professor Lyn Hejinian, who organized the event, Larry Eigner's brother Richard Eigner, poet and co-editor Robert Grenier, Eigner scholar Rebecca Gaydos, poet Kit Robinson, poet and UC San Diego professor Michael Davidson, Eigner scholar George Hart, Stanford professor Al Gelpi, Pomona College assistant professor Hillary Gravendyk, poet Norma Cole, and poet and UC Berkeley professor Robert Hass. After reading me that poem, Larry asked me, "How many more times?" I answered correctly, "One." I met Larry Eigner in 1986, when I was putting on a poetry series at Larry Blake's restaurant in Berkeley. I had read some of his work in This magazine—as well as in some other magazines. The poems impressed me enough to buy some of his books. I knew that Larry was disabled, but I didn't know that the disability extended to his speech. When I told Barrett Watten that I wanted to contact Larry to read in my series, Barrett—perhaps as a joke—gave me Larry's phone number and no other information. When I dialed the number, the answer I heard was far from the expected "hello"; Larry had a speech impediment! I remember a feeling of panic and then a feeling of determination: I resolved to understand this man. By the time the conversation was over, Larry and I had agreed upon a time when he would read at my series and he had given me his address: 2338 McGee in Berkeley. We arranged a time when I could visit. I arrived at Larry's house with a loaf of Irish soda bread under my arm, and we began a conversation that didn't end until his death ten years later. I found that I could understand Larry's speech in person as easily as I had on the phone. Larry gave a reading soon after our meeting—upstairs at Larry Blake's. Ignoring fire laws, we carried him up the stairs. The room was full of Eigner fans, many of them the L=A=N=G=U=A=G=E poets who were actively supporting his work. After the reading, Larry told me he wanted to return next week. "Here's my two bucks. I'll be here next week." I told him to keep his two bucks, I'd be happy to bring him for free, and so I did, throughout the run of my series. Bringing Larry to Leona's and later to the Café Milano on Bancroft Way (where I moved the series in 1988) exposed him to an extraordinarily wide range of poets, and he enjoyed it immensely. He believed that there was a correlation between cerebral palsy and "some kinds of hearing problems." In an effort to hear better, he often moved closer to the person reading. He then closed his eyes to concentrate on what the person was saying. Unfortunately, when his eyes were closed, he usually fell asleep, and when he fell asleep, he snored—more or less in the face of the poet reading. I woke him gently, as he exclaimed, "Huhhhh?" I ended the series in 1988, when I began to broadcast poetry on radio station KPFA. I had brought Larry to every one of the readings I presented since meeting him. Now, I had to make another arrangement. I decided to visit Larry once a week. We talked, often with contributions from Larry's neighbor Jay Rynek and his caregivers. At times I would bring a friend. During the summer of 1993, the University Art Museum at UC Berkeley paid tribute to Larry. His poem, "Again dawn" was inscribed on the building's façade. A tribute reading was held. I'll never forget Larry fumbling through his papers trying to find what he wished to read when suddenly the audience spontaneously rose to give him a standing ovation. The look of surprise and joy on his face was something to see. Larry listened to the radio all the time—and he would phone me at odd hours to tell me about a radio or television program that might interest me. I wanted very much to put Larry on the radio. The problem was that he tended to flail about with his hands and would knock over a microphone stand. Finally, KPFA programmer Ben Lindgren and I brought him into the station's recording studio and hung a microphone above him. That solved the problem. On March 9, 1994, I recorded an hour-long interview with him—with me "translating" his answers. The interview was broadcast on August 8, 1994, the day after Larry's sixty-seventh birthday. It was during one of the sessions at 2338 McGee that Larry told me that he felt Bob Grenier had been the best friend of his life. He also asked me several times to teach him about L=A=N=G=U=A=G=E poetry. L=A=N=G=U=A=G=E poets had been Larry's staunchest defenders, but he complained that he could rarely understand their work. "Maybe you can explain it to me." I did what I could to enlighten Larry. Indecisiveness about a subject was often Larry's condition. Once, when he had completely contradicted himself about something, he said to me, "You know me, I can never make up my mind about anything. Negative Capability! "—though he also thought it possible that such indecisiveness was characteristic of people with cerebral palsy, who "have short attention spans." At the heart of Larry's work is a powerful, generating confusion, a deep uncertainty. The poetry is often a testing of the real. He moves, he wrote, "step by step, among uncertainties enough in the world"—a world in which words and phrases are constantly "various." He once remarked ruefully that as a victim of cerebral palsy he had never held a job, had always been cared for by others: "It's a long childhood I've had." Larry Eigner is often taken to be a precursor to Language Poetry or a Language Poet himself. There is clearly some truth to this observation—he provided opening remarks to Ron Silliman's first book, crow, and he had many connections to Language Poets, who frequently championed him—but the observation also obscures some of Eigner's qualities. 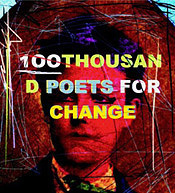 The Oxford Companion to Twentieth-Century Poetry has this entry, written by Edward Foster: "In Ron Silliman's introduction to his  anthology of Language Poetry, In the American Tree—dedicated to Eigner—he identifies this poet as one who has 'transcended the problematic constraints' of Olson's speech-based projectivist poetics. Eigner has himself pointed out that his poetry originates in 'thinking' rather than speech." Similarly, in an otherwise excellent essay, "Postmodernist Nature/Poetry," in the collection, Reading Under the Sign of Nature (University of Utah Press, 2000), George Hart sees Eigner as a postmodernist poet who "privileges writing over speech": "the source of value for the postmodernist poet is not the poetic voice represented by the words on the page but rather the words themselves as signifiers." Amid increasingly palpable news rather than rumor of scarcities (to be hugely euphemistic about it), abundant moments in various places persist and keep on in high or ultra high frequency, and a poem can be assay(s) of things come upon, can be a stretch of thinking. Anyone who met Larry Eigner was struck by the fact that he talked all the time. He had to be asked to be quiet. At his first meeting with Robert Grenier, Larry spoke "non-stop for a solid three hours." People complained of this practice—accused him of 'monologuing.' Yet there it was, at his very center, controlled in certain ways but in others not. 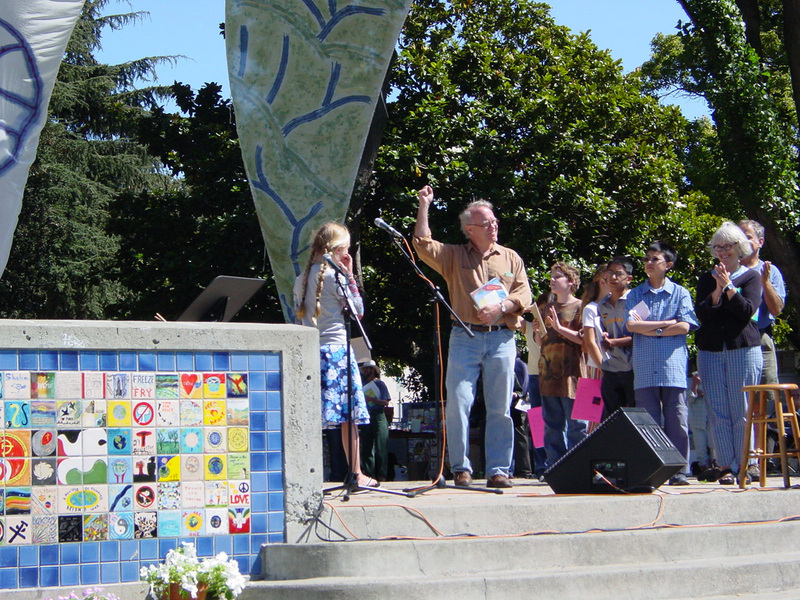 Jack Foley is a poet, critic, and radio host of "Cover to Cover," KPFA Berkeley. His most recent book is the two volume Visions & Affiliations: A California Literary Time Line, Poets & Poetry 1940-2005 (Pantograph Press, 2011). A contributing editor to Poetry Flash, he lives in Oakland, California.